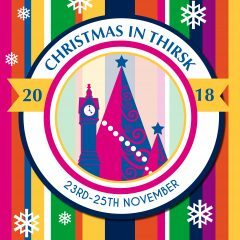 Plans are already underway for Christmas in Thirsk for 2018 and we will bring you more information soon. If you would like to book a stall for our Christmas Fayre in the Town Hall, please find the booking form here. 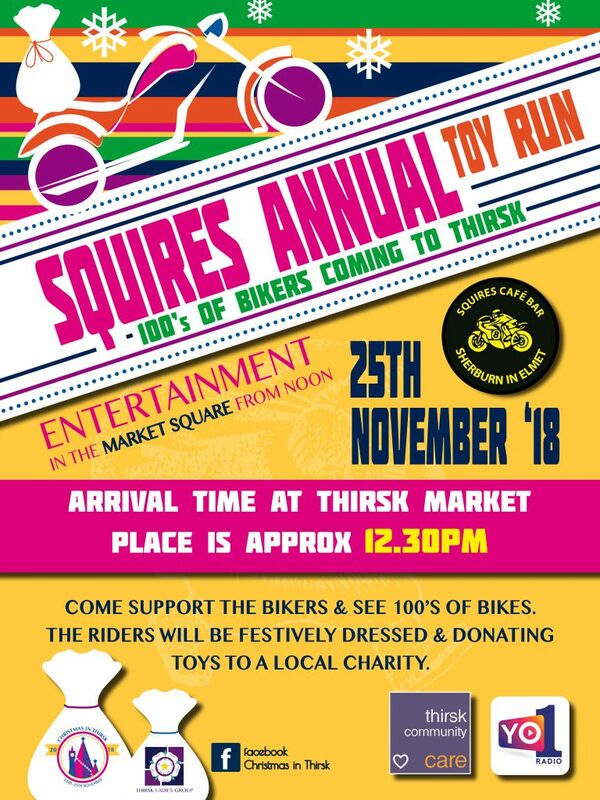 Squires Annual Toy Run – Sunday 26th November, 12.00pm entertainment begins. 13.30pm arrival in Thirsk town centre. All toys donated to go to Thirsk Clock & Thirsk Community Care, including music from The Bootleggers & The Drivers. This event is proudly sponsored by Calverts Carpets. Rural Arts – Makers Market – Saturday 25th November, 10am-4pm, Rural Arts Courthouse (close to the Town Hall). The Fayre was brought to life by three like minded residents who have lived here many years and are devoted to the place we call home. Quite simply we love living here and after talking to many tourists over the years who come here in the summer they said they would come back ANYTIME because they love it too! Christmas is a time for celebration, shopping, relaxing and of course reflection. We could not think of a better place for you to do all of those. We can’t thank the people of Thirsk and surrounding areas that have helped us enough. Whether they have given financial sponsorship/donations or just “chipped in” with resources, time and ideas their input has brought the event to what it is today.